The first stop this morning was Lacquered Nail Salon in Sacramento, Calif. This natural nail salon offers waxing and nail art in an affluent East Sacramento neighborhood. 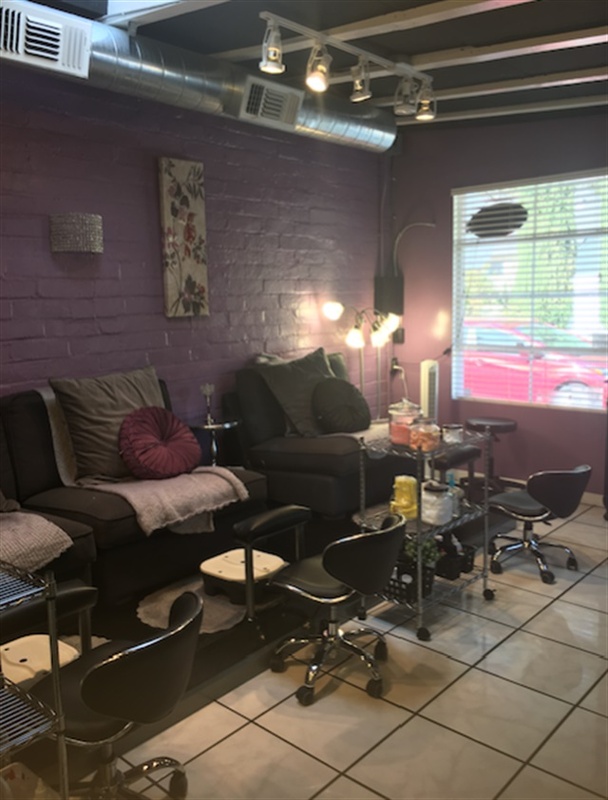 Pedicures are the most popular service, so the pedicure chairs are the first thing in sight when entering the purple-hued space. In fact, the salon is actually expanding to hope to accommodate more clients. Owner Jen Carr will be turning the VIP room of the salon into a Little Lounge (children's area) to accommodate their clientele, who are mostly local moms. "We're a tight-knit community," Carr says, so it makes sense that the local salon would be a child-friendly place. NAILS is hardly the first media outlet to feature Lacquered. A local morning show has actually filmed in the salon before. The salon also wins local accolades like Best Manicure and Pedicure. An impressive retail space includes Sacramento-inspired items as well as nail retail favorites like Zoya Polish, files, and Pedi-Sox. My favorite part of the salon was the corrugated metal polish wall. Three sun roofs allow for plenty of natural light, another unique aspect of the salon. Nail tech Kayla Pinedo gave me a Zoya polish change and stamped Caption diamonds on my toes for a blingy 2-D design. Next up was nail artist Raquel Calixto, who works out of her home in mid-town Sacramento. Calixto divides her time between home and driving to see clients. 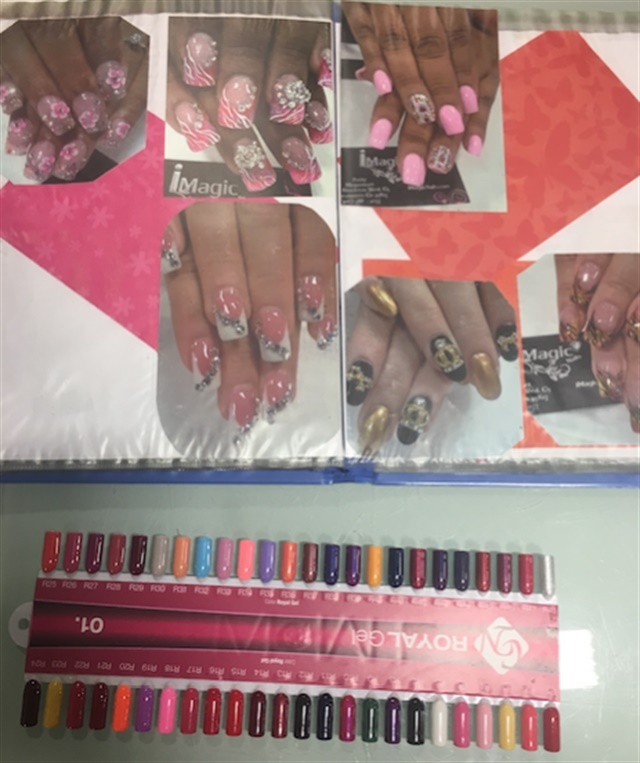 When Calixto isn't seeing clients, she is competing in nail art competitions or teaching with INM. Her daughter, who is 10, is proving to be quite knowledgeable and enjoys talking with clients about nails and products. Of course, social media absorbs much of Calixto's time as well. She is on Instagram, Snapchat, and now YouTube. 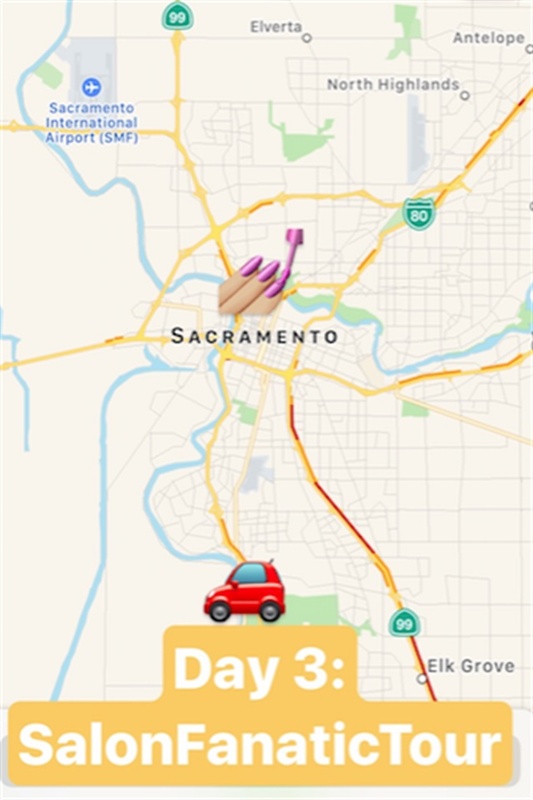 Calixto remains close with IMagic Nails, located in a ShopSmart in Sacramento, about 15 minutes from Calixto's home. 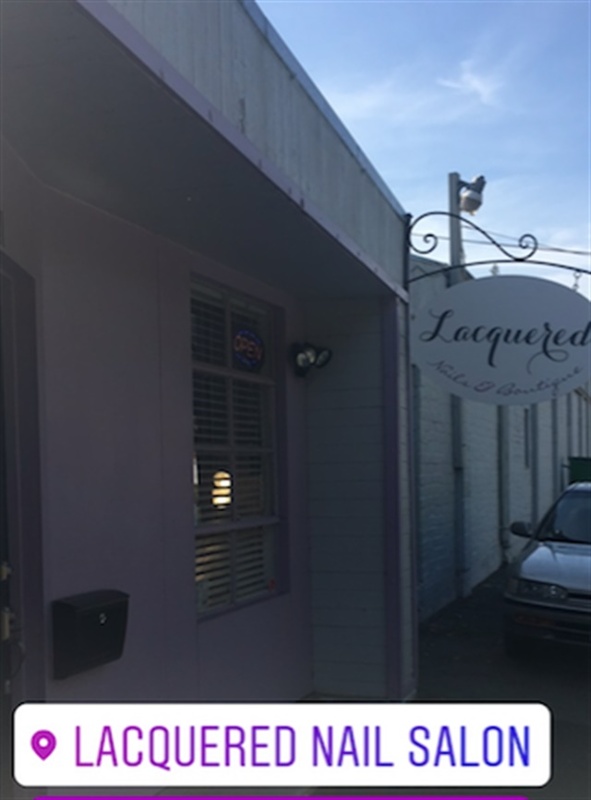 Toward the back of the ShopSmart is IMagic Nails, a huge salon offering every service imaginable, and is currently expanding. 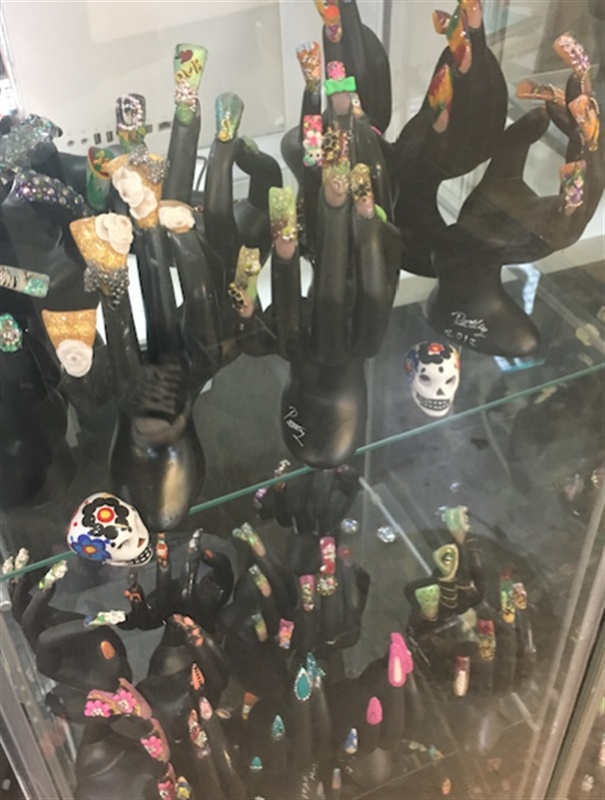 Clients are greeted with extreme nail art, such as duck and edge-shaped nails, as well as piercings in the glass case out front. Also in the case is an advertisment for the salon's famous Patron Pedicure. That's right, they mix tequila (or Andre sparkling wine) into the pedicure service. I tried the champagne version in a paraffin wax. The services are so popular, they were out of Patron when I was there (darn!) 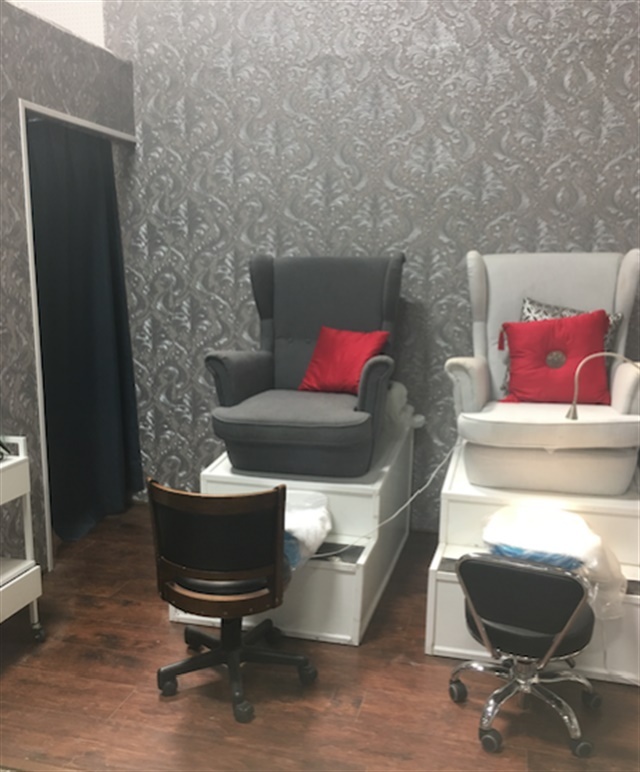 and the expansion of the salon includes a spa-only section (where pedicures will be done) and manicures only in the current set-up. Owner Patricia Gomez works with Crystal Nails, so most proucts in the salon belong to that manufacturer. 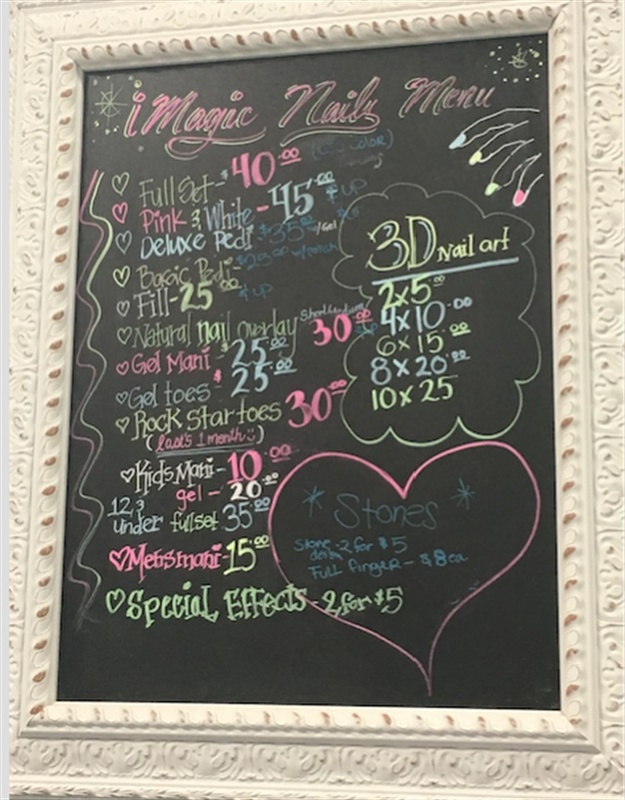 Other than especially unique services, nail art, and location, the salon has another interesting feature: each tech has an actual photo album showing their work -- an actual physical (non-digital) album. 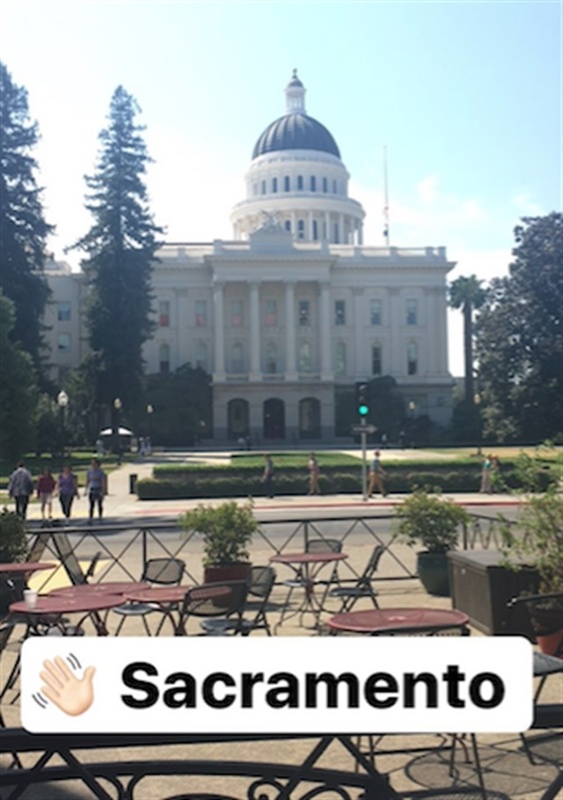 Suffice it to say, my trip to Sacramento was a memorable one. 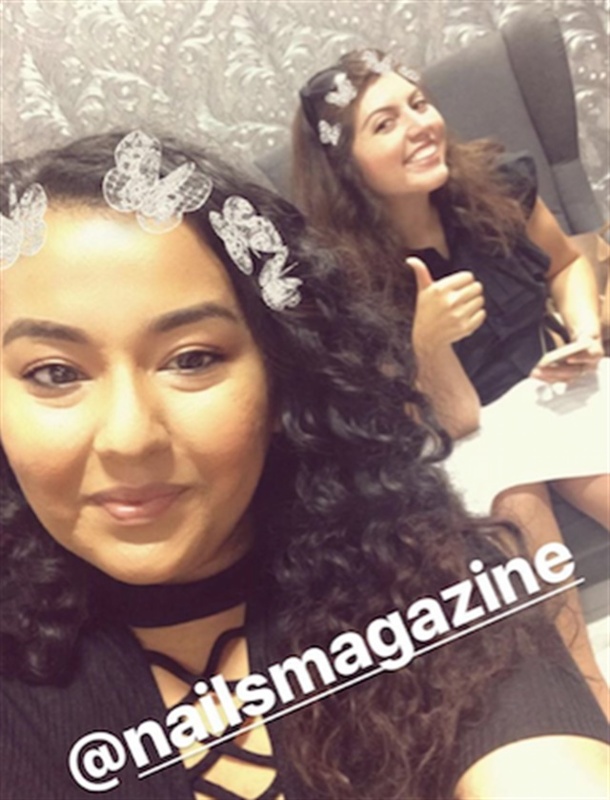 Follow along with me on Instagram and Snapchat @nailsmagazine.